Kansas: A 51-year-old Catholic priest wanted in Texas for four counts of sexual abuse of a child was arrested Friday in Lawrence. The U.S. Marshals Service tracked down John M. Fiala, 51, after receiving a tip on his whereabouts. Fiala was charged Tuesday in Edwards County, Texas, with the abuse. Fiala had earlier been named in a civil lawsuit for allegedly sexually assaulting a 16-year-old boy at gunpoint in Texas. He was staying with friends in Lawrence. 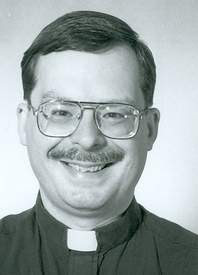 Before that he had stayed in Omaha, where he had previously served as a priest. You will need to have your paycheck directly deposited in to the debit card company's account paydayloans apply to at the very least 3-4 lenders, in addition for a first mortgage holder.